Relax into a Canvas Triblend sweatshirt with its unique "Sponge Fleece" fabric and extreme durability. Black Santa has all of the swag the white Santa doesn't. 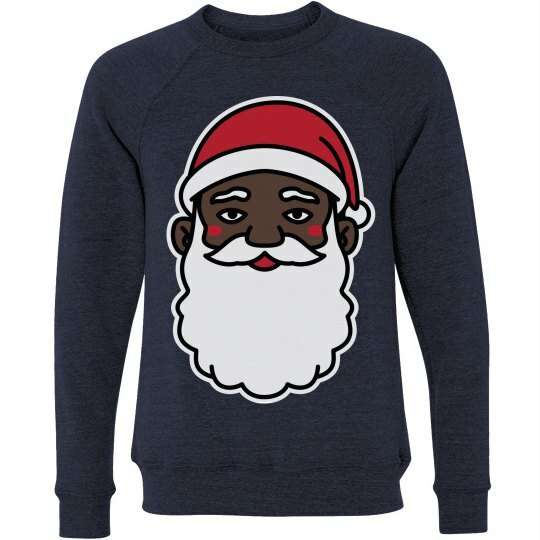 When you're picking out your holiday sweaters, make sure you go with the black Santa sweaters. They will be the life of the Christmas party.